The cloud for everyone is made here. Together. 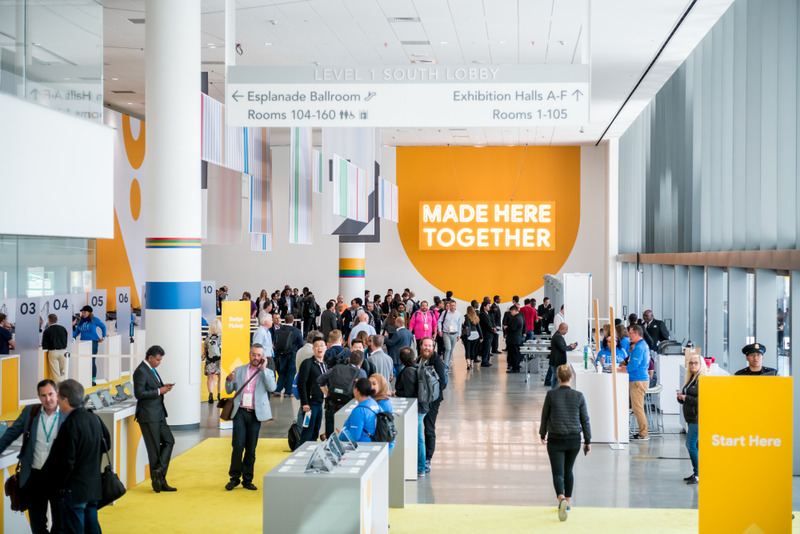 Google hosted its annual big cloud conference, Google Cloud Next, over at the Moscone center in San Francisco. Bringing what's new at Google Cloud to the world, from new enterprise capabilities and new ways of building apps that link people and data to harnessing the natural symbiosis of IoT, big data, and AI to do more, know more, and achieve more. The Cloud is for everyone and that is how it should be. Find here the latest updates, changes and key highlights brought to you by GoPomelo. G Suite is becoming more and more mature over the last decade, from the introduction of Gmail and Google Docs to more recent advancements in AI and machine learning that are powering, and protecting, the world's email. Today, over 4 million paying businesses are using G Suite to reimagine how they work, to move faster, better connect their teams and advance their competitive edge. In the last year nearly 300 capabilities for G Suite came out and at next they announced some key changes that are available today or in the near future. In order to simplify security management for businesses Google introduced the security center for G Suite already earlier this year. The security center brings together security analytics, actionable insights and best practice recommendations from Google to help you protect your organization, data and users. Now Google is announcing their new investigation tool in security center, which adds integrated remediation to the prevention and detection capabilities of the security center. Now admins can identify which users are potentially infected, see if anything’s been shared externally and remove access to Drive files or delete malicious emails. Since the investigation tool makes it possible to review your data security in one place and has a simple UI, it makes it easier to take action against threats without having to worry about analyzing logs which can be time-consuming and require complex scripting. This new feature is especially useful for organizations with data control requirements, Now G Suite customers can choose where to store their primary data for select G Suite apps. Next to this it will also be simpler to manage your data regions on an ongoing basis. For instance, when a file’s owner changes or moves to another organizational unit, the data will be automatically moved, without impacting the file’s availability to collaborators. Plus, users continue to get full edit rights on content while data is being moved. Over the years Google has invested heavily in AI and machine learning, and dedicated to a simple idea: rather than replacing human skills, believing that AI has endless potential to enhance them. Today Google AI is already helping millions of people around the world navigate, communicate and get things done in their consumer products. Many of you use Smart Reply in Gmail already and it already drives more than 10 percent of email replies. Now Smart Reply is coming to Hangouts Chat to help you respond to messages quicker so you can free up time to focus on creative work. Google’s technology recognizes which messages most likely need responses, and proposes three different replies that sound like how you typically respond. The proposed responses are casual enough for chat and yet appropriate in a workplace. While smart reply makes sending short emails quicker but we all know that most emails require longer and often time-consuming thoughts and processes. Smart Compose is created to help solve that problem. Smart Compose intelligently autocompletes your emails; it can fill in greetings, sign offs and common phrases so you can collaborate efficiently. In addition to autocompleting common phrases, Smart Compose can insert personalized information like your office or home address, so you don’t need to spend time in repetitive tasks. And maybe the best feature of all, it will get smarter with time, it will learn how you write to certain people to ensure that when you use Smart Compose it sounds like you. Using AI to help people write more clearly and effectively. It can be tricky at times to catch things like spelling and grammatical errors that inadvertently change the meaning of a sentence. By introducing grammar suggestions in Docs, Google is solving this problem. By using a unique machine translation-based approach to recognize errors and suggest corrections on the fly. Google’s AI can catch several different types of corrections, from simple grammatical rules like how to use articles in a sentence (like “a” versus “an”), to more complicated grammatical concepts such as how to use subordinate clauses correctly. Machine learning will help improve this capability over time to detect trickier grammar issues. And because it’s built natively in Docs, it’s highly secure and reliable. All G Suite Customers - Available now in the Early Adopter Program. G Suite is able to deliver real transformation to businesses that are simple to use and adopt. And because G Suite was born in the cloud and built for the cloud. Collaboration is happening seamlessly and this is why more than a billion people rely on G Suite apps like Gmail, Docs, Drive and more in their personal lives. Moving away from old habits like saving content on your desktop but trusting G Suite to save their work securely in the cloud. In fact, 74 percent of all time spent in Docs, Sheets and Slides is on collaborative work -- that is, multiple people creating and editing content together. This is a stark difference from what businesses see with legacy tools, where the work is often done individually on a desktop client. This is how Google helps reimagining work today and will keep continuing to do so in the future. In the last two years we’ve seen AI evolve dramatically. Technologies like image recognition and machine translation are now a part of our everyday lives. AI has transformed industries all over the world, and created entirely new ones. And in the process, it promises an increase in quality of life and work never before imagined. But there’s still much more that can be done, after all AI is still a growing field of many opportunities and challenges. There is still a huge gap between what is possible with machine learning. At the one hand there are data scientists who use tools like TensorFlow and Cloud ML Engine to build custom solutions from the ground up. At the other end, pre-trained machine learning models like Cloud Vision API deliver immediate results with minimal investment and technical proficiency. But what Google is introducing now is the the solution to close that gap with Cloud AutoML. It makes it possible for anyone to extend powerful ML models to suit the specific needs of their domain, without requiring any specialized knowledge in machine learning or coding. Our first release, AutoML Vision, extends the Cloud Vision API to recognize entirely new categories of images. As of now AutoML Vision goes into public beta and two new AutoML functions are being added to the program namely; AutoML Natural Language and AutoML Translation. Learn more about AutoML here. An important step forwards is also rethinking how to support the latest AI research into products that make AI easier to use. As of last week several updates to machine learning APIs have been made. Cloud Vision API now recognizes handwriting, supports additional file types (PDF and TIFF) and product search, and can identify where an object is located within an image. Next to that also improvements to Cloud Text-to-Speech have been made, such as multilingual access to voices generated by DeepMind WaveNet technology and the ability to optimize for the type of speaker from which your speech is intended to play. And in Cloud Speech-to-Text, the ability to identify what language is spoken as well as different speakers in a conversation, word-level confidence scores, and multi-channel recognition so you can record each participant separately in multi-participant recordings. Bringing AI and the way people work together with tools that reduce mundane work and support the strengths like creativity and problem solving. Believing in complementing and enhancing human skills rather than replacing them. The first thing that led to a major development is Dialogflow Enterprise edition, a development suite for building conversational agents. Since the launch last November over 600.000 developers from different industries are putting it to use. As of now Text to Speech capability via DeepMind’s WaveNet and Dialogflow Phone integration, a step towards the goal of empowering a contact center’s human agents. More info on how this works. For instance, with Phone Gateway in Dialogflow Enterprise Edition, you can assign a working phone number to a virtual agent—all without infrastructure. Speech recognition, speech synthesis, natural language understanding and orchestration are all managed for you. With the average worker becoming more and more cloud based it was time to rethink the way of facilitating them without making compromises to the the way we work. Chrome Browser is adding a new policy that allows enterprises to better protect users’ corporate accounts. 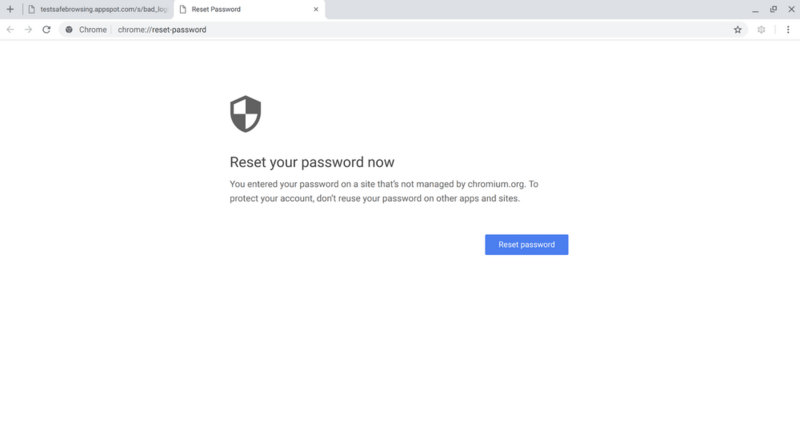 Indeed, with the Password Alert Policy, admins can now set rules in Chrome Browser to prevent corporate password use on sites outside of the company’s control. Users will be notified when they use their corporate password on an unallowed site. IT can also apply this policy to warn only when users type their passwords into predicted phishing site. The policy can be set for both Google and non-Google accounts. The new Password Alert Policy will be available to enterprises in September 2018. The management of the growing number of Group Policies available for admins through different IT teams will be now supported by the Google Admin console. With a cloud-based Chrome Browser, it’ll be simple to enroll separate instances of Chrome Browser on company devices, and manage them from a single interface across different delivery platforms. IT will now be able to manage Chrome Browser running on Windows, Mac, Chrome OS and Linux. IT teams will also get better visibility into their Chrome Browser deployments, as they will be able to see inventory information and drill down into reports, helping them to both better understand how workers are using their browsers and to troubleshoot issues. Through Chrome Browser management in the Google Admin console, IT teams will be able to assign different admins to manage the browser—even if they aren’t experts in Active Directory or other management tools. This delegation will give IT more flexibility. Google Cloud Platform (GCP) makes it easier to build applications your way with expanded database options and features that bring flexibility and performance. And you can now run more types of workloads than ever on GCP, thanks to new partnerships and integrations. Cloud Build lets you build software quickly across all languages and get complete control over defining custom workflows for building, testing, and deploying across multiple environments such as VMs, serverless, Kubernetes, or Firebase. Allow your organization to define and enforce granular access to GCP APIs, resources, G Suite, and third-party SaaS applications based on a user’s identity, location, and the context of their request. This increases your security posture while decreasing complexity for your users, giving you the ability to seamlessly log on to apps from anywhere and any device. For a full overview on everything that was announced at Google Next read here the summary of all 105 updates shared to make Google work for you. We are happy to show you the latest updates, and how to apply them in our upcoming events or contact us to make the cloud together!